A Sunim Tea Ceremony will be held at the Korean War Memorial on Monday, October 20, from 10:00 am – 12:00 pm. 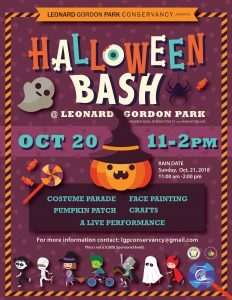 Leonard Gordon Park Conservancy is set to host its second annual Halloween Bash on Saturday, October 20 from 11:00 am – 2:00 pm! Join us at our pumpkin batch at the entrance of John F. Kennedy Blvd. and Hutton Street. There will also be a live performance and our Halloween parade starts at 1:00 pm! Don’t forget to wear your scariest outfit! This event is free and open to the public. 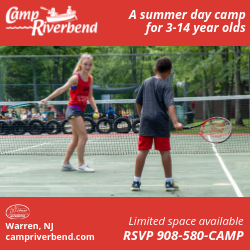 For additional information, please contact [email protected] or visit the Leonard Gordon Park Conservancy Facebook page. 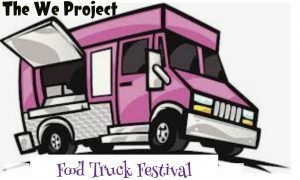 The leaves are changing color which means it’s time for The We Project Food Truck Festival to roll into The Heights! 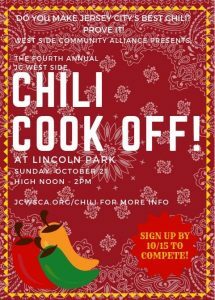 Come on out and enjoy yourselves at this great event! 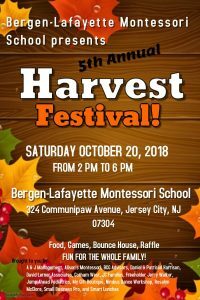 Join us at Pershing Field In Jersey City Heights! Food! Music! Fun! Did we mention FOOD?! Eat to your hearts’ content! It’s a fun filled Fall family day! Gourmet Food Trucks, partnered with local artists, businesses and some great music, make for an enchanting and fulfilling Fall day. Camp Liberty is having its annual Halloween family event in Liberty State Park. This is a fun fall fundraiser for their nonprofit and a great way to celebrate Halloween with the family! 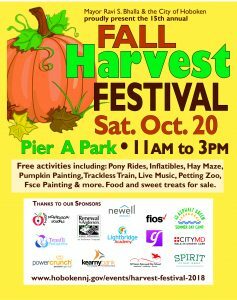 Rides, food trucks, pumpkin painting, games, and art! 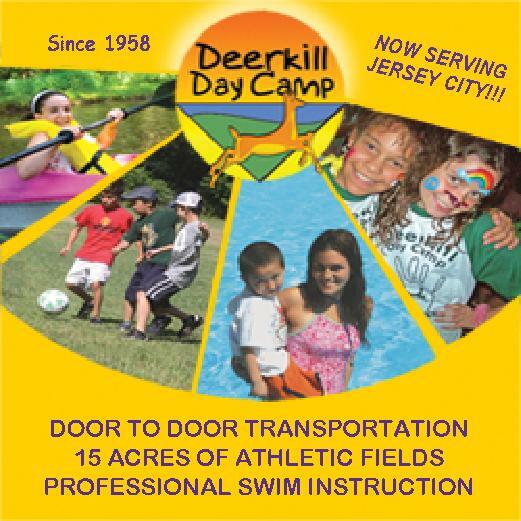 Have a fun day (in your costume) at Camp Liberty! 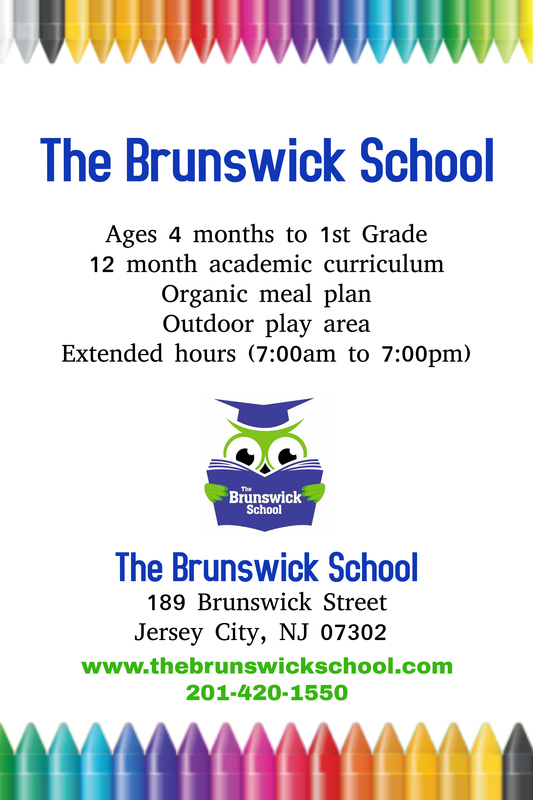 It Just Wouldn’t be a Bergen-Lafayette Montessori School Party Without You! 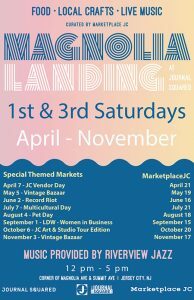 In conjunction with Journal Squared and Journal Square SID, Marketplace JC is joining forces to bring a curated selection of 20+ artisans, crafters, chefs and vintage sellers to the neighborhood. 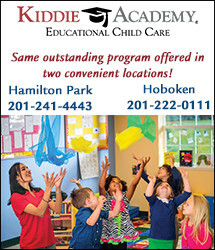 Come on out for the newest pop-up location located in the newly renovated plaza behind Journal Square PATH (the plaza facing Magnolia Avenue) and adjacent to Journal Squared near the corner of Magnolia Avenue and Summit Avenue. 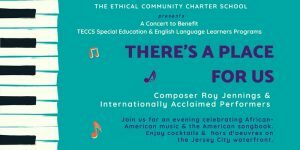 Live music will be provided by RiverviewJazz.org and will feature some of Jersey City’s favorite local bands. 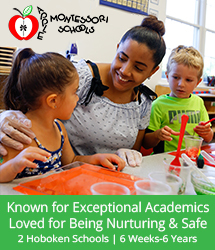 All proceeds to benefit the TECCS Special Education & English Language Learners Programs. 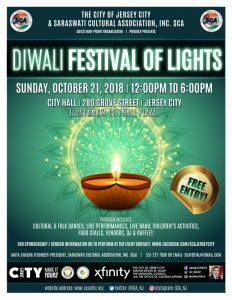 The City of Jersey City and the Saraswati Cultural Association of Lights presents the 2018 Diwali Festival of Lights. 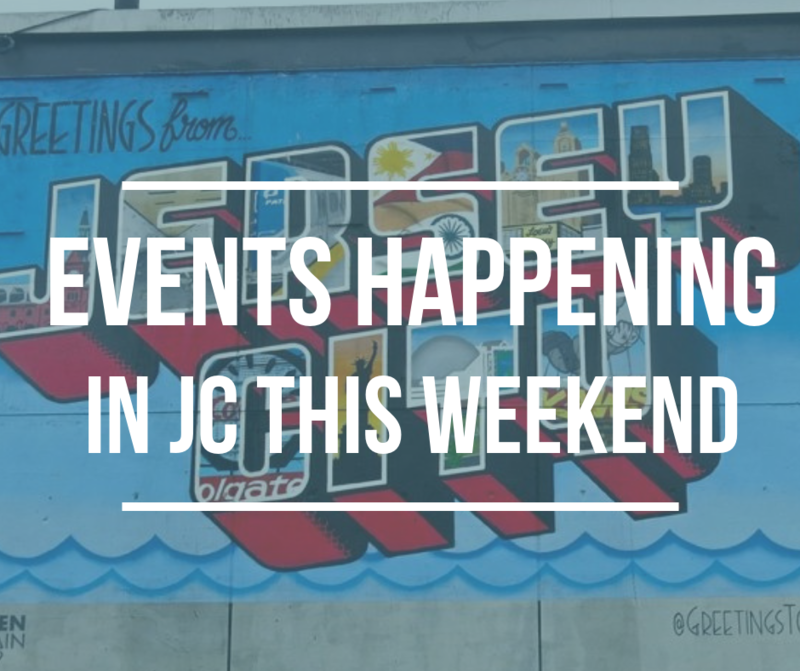 The event will include cultural and folk dance, live performances, music and food vendors and more! This event is free and open to the public. 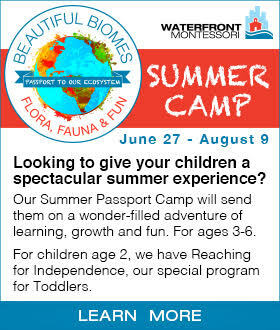 For more information, please contact Anita Chadha at [email protected] or call (551) 221-7000.